NCI has introduced a technology platform designed to help U.S. government customers automate processes and comply with cybersecurity requirements. 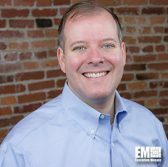 The Scaling Humans with Artificial Intelligence offering is built to support data management, service desk and back office functions, and features software to facilitate application login, the company said Tuesday. Shai works to create and maintain accounts, prepare financial audits, process census and visa applications, collect data intended for background checks and other tasks federal employees perform. 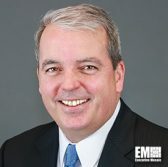 Paul Dillahay, NCI president and CEO, said the company launched its AI product in a push to help agencies use and build on commercially developed tools. The release came eight months after the Reston, Va-based government contractor partnered with health information technology provider CrossChx to introduce AI tools to the public sector market. Brad Mascho, chief AI officer of NCI, said the company implemented a security measure for its Shai platform to operate with federal systems. Mascho assumed his position early this year and adopted the AI technology across the firm’s own infrastructure.